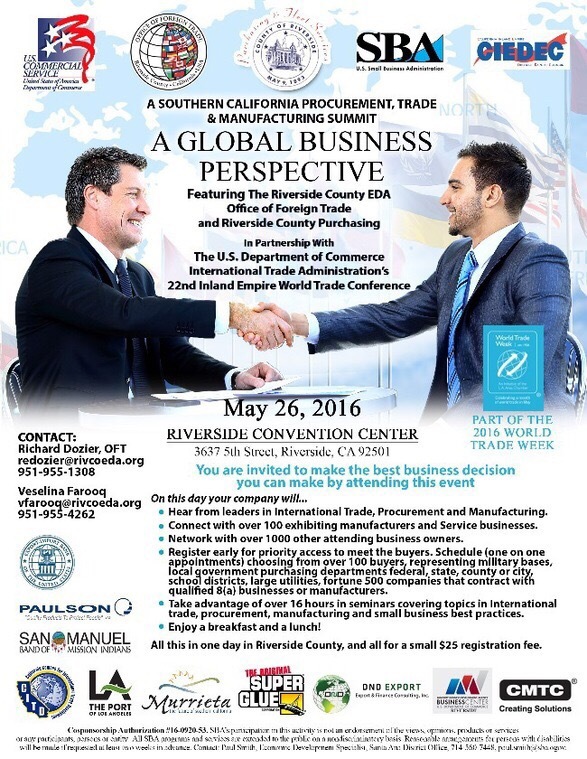 The Southern California Procurement,Trade & Manufacturing Summit- A Global Business Prospective is designed for small and medium sized businesses interested developing new business. Exhibits – View Manufacture and Service Business Exhibits and International Trade Exhibits to find new products,new sources and clients. Seminars- Learn how to do business with big government agencies!-How to get 8(a) certified. Learn how to develop new business in other countries, including The Trans-Pacific Partnership (TPP)and master international trade.